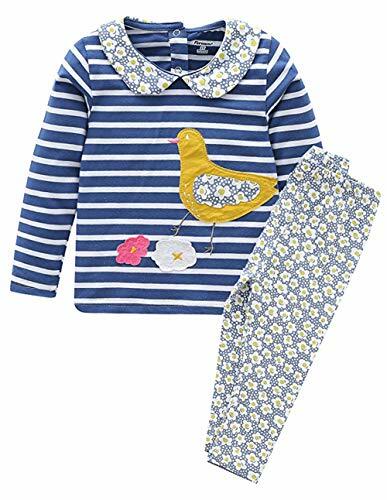 Fiream Girls Autumn Cute Print Long Sleeve Clothing Set (6, 351TZ) | What Should I Say? Warm reminder:The product is more suitable for warm weather or indoor wear,cold weather need match with other clothes. Elastic waist drawstring design,make your kid more free.